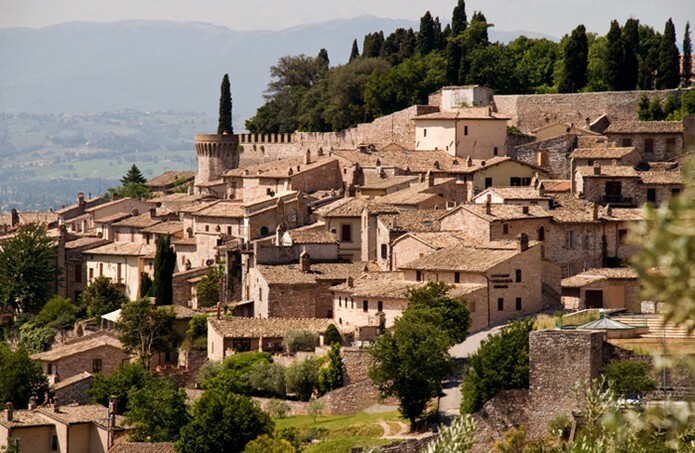 Spello is located in the wider region of Umbria. 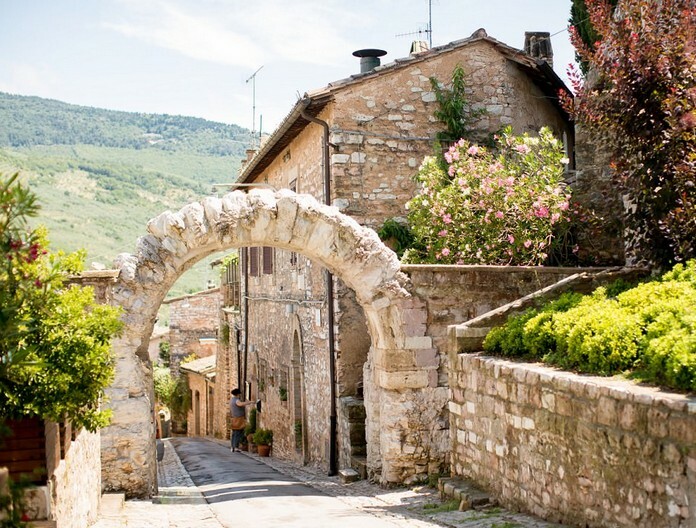 This town lies at the base of Monte Subasio and it is situated between Foligno and Assisi. 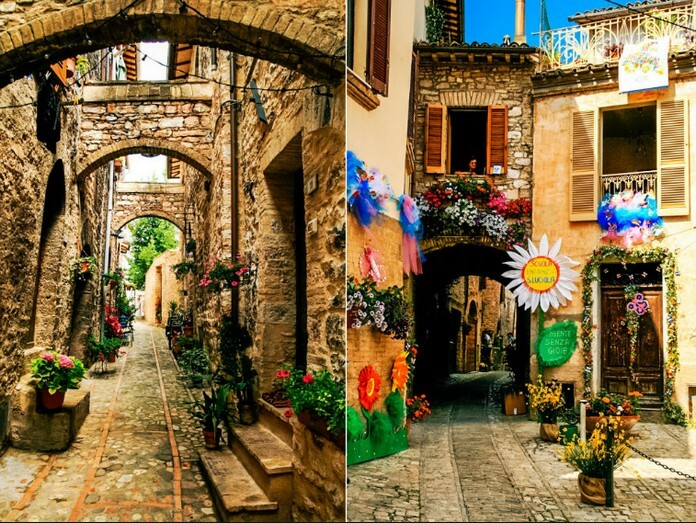 It has a population of 8,500 residents and it is still encircled by the original Roman walls. It is also well known for its lush and fertile fields, which surround the town. It is a little bit away from the crowd but it has an exceptional beauty that will captivate your senses. While you are a traveler there, do not forget to pay a visit to monuments. There are plenty, which are still well preserved from the Roman rule. Apart from the ancient monuments, you can also visit the main shopping road, where there is the Town Hall that worth a visit. 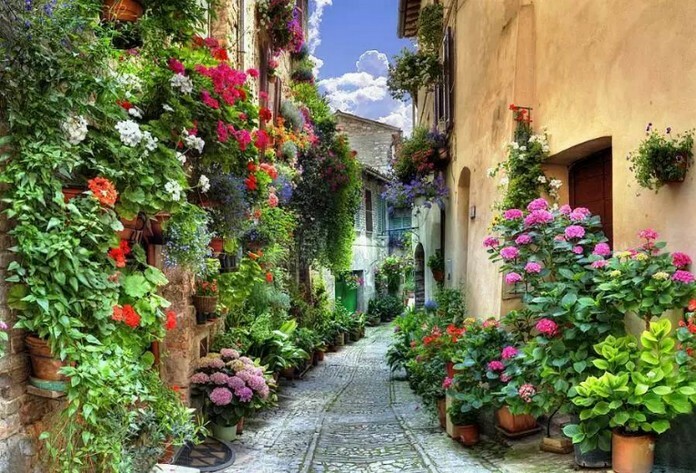 Prepare properly and take with you comfortable shoes, as the streets of Spello are narrow and full with doorsteps. It is better to visit the town, if you rent a Vespa or a motorcycle. The cars cannot easily pass through the narrow streets and that will maybe cause you problems.